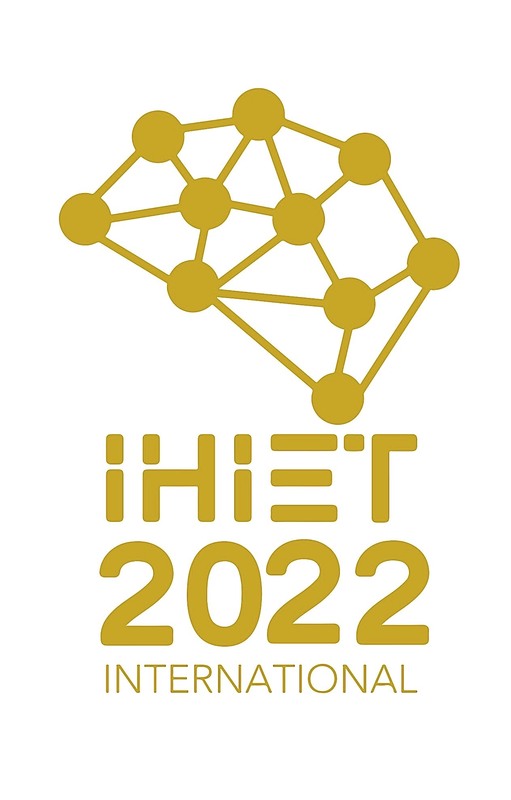 You are cordially invited to participate in the1st International Conference on Human Interaction and Emerging Technologies (IHIET 2019) will be held at the Université Côte d'Azur, Nice, France, August 22-24, 2019. IHIET 2019 Conference aims to provide a global forum for presenting and discussing novel human-interaction and engineering approaches, tools, methodologies, techniques, and solutions for integrating people, concepts, trends and applications in all areas of human interaction endeavor in industry, economy, government, and education, including but not limited to energy, transportation, urbanization and infrastructure development, digital manufacturing, social development, human health, sustainability, new generation of service systems, as well as safety, risk assessment, healthcare, and cybersecurity in both civilian and military contexts. IHIET 2019 Conference will focus on advancing the theory and applications for human-interaction requirements as part of an overall system and product solution, by adopting a human-centered design approach that utilizes and expands on the current knowledge of user-centered design and systems engineering supported by cognitive software and engineering, data analytics, simulation and modeling, and next generation visualizations. This interdisciplinary conference will also expand the boundaries of the current state-of-the-art by investigating the pervasive complexity that underlies the most profound problems facing contemporary society today. All submitted papers will be peer-reviewed by three independent referees from the International Editorial Board. Papers in the theoretical category should deal with theories, models, concepts, and structures; papers in the generic category should present research results of broad applicability; and papers in the applied category should show how research is translated into technological innovations for human systems engineering and design. The conference proceedings published by Springer and submitted for Indexing to ISI Proceedings, EI-Compendex, DBLP, SCOPUS, Google Scholar and Springerlink.